I don’t know about y’all, but from this end I can tell you – it’s been a long week. And, corny as it is, nothing makes me feel better than adorable photos or viral videos of animals. So I was delighted this morning to discover via the website Reddit several decades of photos featuring U.S. troops in the war zone with dogs and cats. 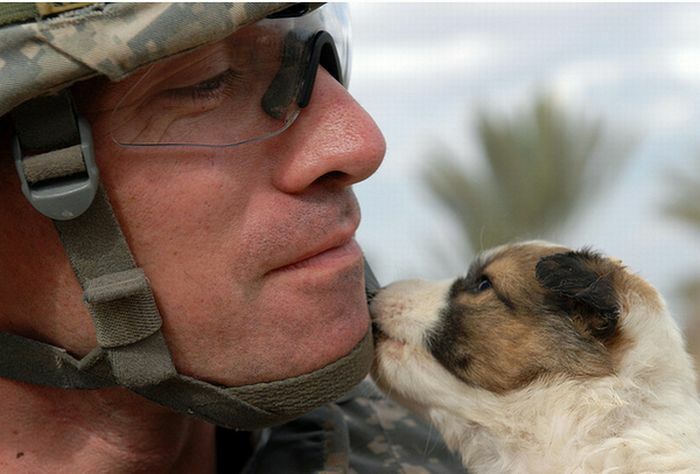 So, for your Friday viewing pleasure, here they are: photos of American service members with puppies and kittens.